Should You Fill Your Tires With Nitrogen? 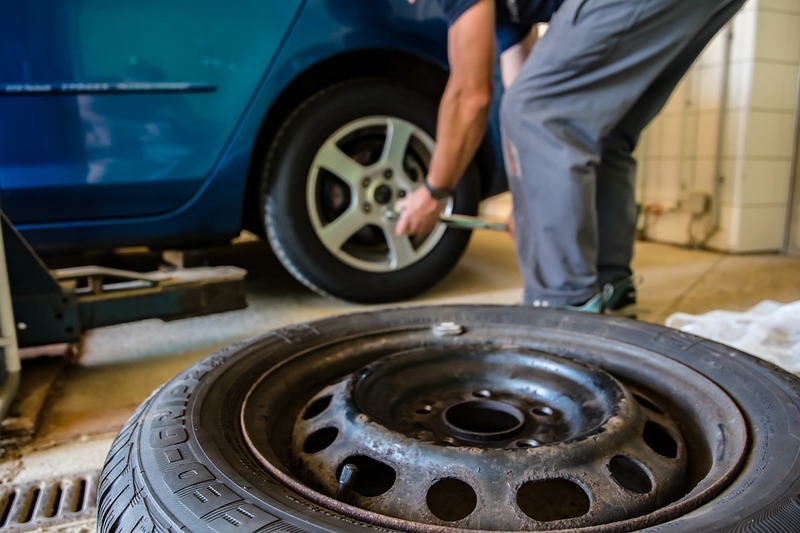 A key element to proper tire care is to maintain the recommended tire inflation pressure. Tires are inflated with air, which will expand when heated and contract when cooled. Tire inflation pressure will rise and fall due to changes in the ambient temperature. The change in tire pressure is about one pound per square inch for every 10 degrees Fahrenheit. It is important that you check your tire pressure every time the ambient temperature drops. Typically, a tire is inflated with air, but many car owners today are inflating their tires with nitrogen instead. Nitrogen is primarily used in tires because it does not support combustion or moisture. It is an inert gas and is basically dry air with oxygen removed. Ambient air is 78% nitrogen, 21% oxygen, and 1% miscellaneous gas. Nitrogen is the gas of choice to inflate tires used in specialized or demanding environments, such as in the tires of aircraft. Nitrogen tire inflation is not necessary for everyday tire use. It will not harm your tires; it may even contribute to the reductions in tire inflation loss through permeation. However, do not expect that your tires will stay inflated in case of a puncture. Even tires with nitrogen will lose inflation if they are ruptured. One drawback of nitrogen is that it is quite pricey. You will spend about $7 to inflate a tire with nitrogen. If your tires are inflated with air, changing to nitrogen will set you back from $70 to $180 for a complete upgrade. The conversion from air-filled tires to nitrogen involves several fillings and deflatings to purge all of the air. If you have nitrogen-inflated tires and they become deflated on the road, you will have to fill them up with air if nitrogen is not available. This will require that you purge the air from the tires later if you want to replace it with nitrogen again. Maintaining tire pressure over time is the greatest advantage of nitrogen-inflated tires. Tires have microscopic pores through which the air slowly seeps. Nitrogen molecules are larger than air molecules, which makes it difficult for them to escape. Over time, though, some nitrogen will leach out, so you shouldn’t neglect tire pressure. You will still need to check it periodically. Nitrogen is a good choice for racetrack cars or cars that are driven infrequently, but as a general rule, driving with air-filled tires allows you to avoid the extra cost and inconvenience associated with filling your car’s tires with nitrogen. Tire Store Utah > Blog > Should You Fill Your Tires With Nitrogen?